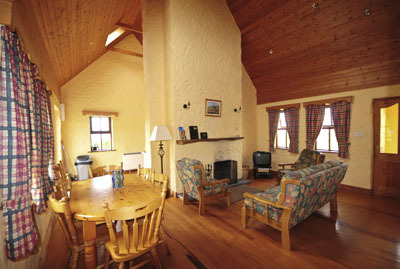 Luxury traditional style cottages in the heart of the world famous Burren Region of North Clare. Overlooking Galway Bay and the Aran Islands and beside a beautiful sandy beach. 4 cottages in all, 3 with 4 bedrooms (1 ensuite), sleeping 7/8 and 1 with 5 bedrooms, sleeping 10.